Home / Blog / Do Herbal Weight Loss Pills Work? Do Herbal Weight Loss Pills Work? They're no miracle, but they can help you achieve your goals. Wouldn’t it be nice if you could just take one pill a day and excess body fat would just melt away? Loads of companies want you to think it’s possible. 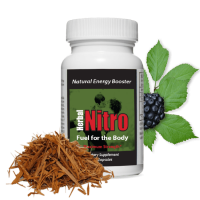 Herbal Nitro is here to tell you the truth about herbal weight loss pills. And the truth is that no pill will take the place of a healthful diet and exercise when it comes to effective weight loss. But herbal weight loss pills can be an important part of your weight loss program if you pick wisely. Effective herbal weight loss pills will boost your energy, make you feel full longer, and some may block absorption of fats. These help you in your efforts to lose weight. Herbal Nitro specially formulates their herbal weight loss product, Allura Trim to contain ingredients that are clinically proven to be effective in weight loss*. When used together, these herbal weight loss ingredients are even more effective. Chrominum Picolinate. Technically, this isn’t an herb. It is a mineral. It is vital for your body’s processes to turn food into energy. It enhances the hormone insulin that is naturally produced by your body. This ingredient is used to naturally suppress appetite and can possibly enhance muscle mass. Caffeine. The caffeine in Allura Trim comes from green coffee beans. This form of caffeine is added to naturally suppress appetite and boost metabolism. Beware of weight loss pills that are all caffeine. These types of weight loss pills can have side effects such as insomnia, nausea, and abnormal heart rhythms. Read labels. If the primary ingredient in your weight loss pills is caffeine, put the bottle down and switch to Allura Trim. Herbal weight loss pills such as Allura Trim are manufactured to be your aid in a weight loss or weight management program. For best results, you will need to reduce your caloric intake and increase your physical activity. The hardest part of any weight loss program is getting started. The second hardest is waiting to see results. When you take Allura Trim along with a more healthful diet and exercise you have a friend that helps you get started on the journey and stays with you every step of the way. Each day when you take your Allura Trim, take a moment to re-affirm the decision you made to lose weight and improve your lifestyle. It will help you stay motivated. Tomorrow is the worst day to make a commitment to managing your weight. Tomorrow is just a day away, but it never comes. Make a commitment to lose weight, be more active, and be a more amazing you! Order your Allura Trim today. Say “Yes” to a more amazing life.